If you are in the market for an iron or aluminum fence installation, then Dunn Fence is the company for you. We are the top of the line fence contractor for any of those looking to get residential or commercial fencing work done. 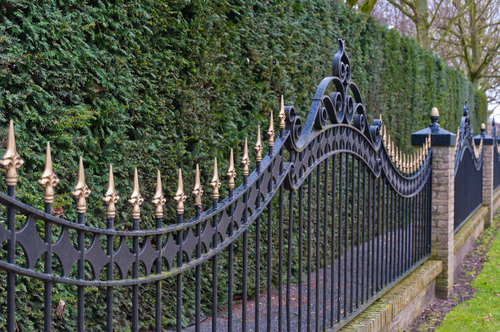 For all the iron and aluminum fence installations that we complete, we use premier iron or aluminum products, to ensure that we not only meet your expectations, but exceed them. To receive more information on iron and aluminum fencing options please give us a call at (281) 923-4767 and our skilled team of experts will be more than happy to help you make your decision. We gladly service the surrounding areas between Woodlands, Tomball and Spring, TX.